Hi, everyone! I was a traveling fool last week and have totally paid the price this week, both at home and at work. Isn’t that the rub? Add in another bout of insomnia and it’s not been a productive week. I would love to slow everything down but… during the fall? Not happening! Anyway, I had two wonderful trips, spent time with my boy and friends AND my BFF and had some very happy experiences along the way. I can’t even tell you how much I needed all of that — for my psyche. You see, we have a beloved family member that is facing grave illness and our hearts are broken. Today and the days ahead hold biopsies and oncology consults and if you could pray for best case scenarios all the way around, I would be so thankful. I wanted to check in with y’all today and since there’s not much decorating or DIYing going on in my world, it seemed like a good time to share what I’m reading, loving, and working on. 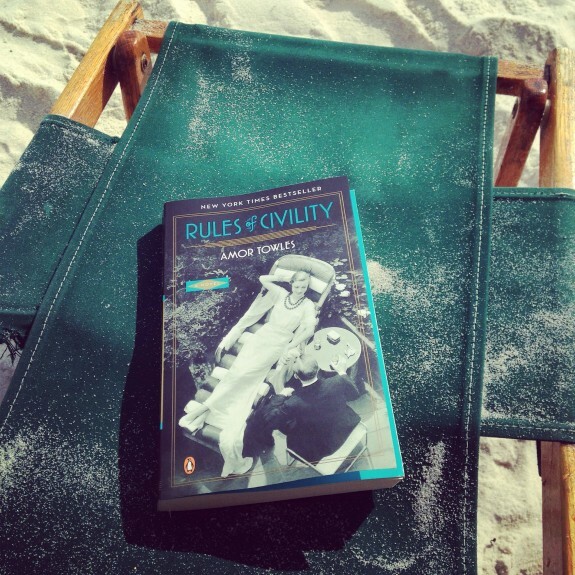 What I’m reading… While I was at the beach minding some teenage boys, I read Rules of Civility by Amor Towles. I can’t even remember how I stumbled on this book (a recommendation?) but it’s one of my favorite recent reads. Have you ever looked back on a certain year or so in your life and thought about all the people that came and went during that time? And not just thought about them, but maybe considered how they influenced you in some way — positive or negative? That is the premise of this book and I couldn’t put it down (except to feed and check on the teenagers). It’s smart, well-written, character driven, and set in 1938 New York City. Now y’all know I love NYC and I loved being able to picture streets, landmarks, scenarios while reading this. There are a few plot twists that move the story along, but I love a good historical fiction piece that explores the growth of a person. Delightful. Click the link below to see more. On the NYC leg of my Fall Break travel, I enjoyed another delightful read The Storied Life of A.J. Fikry by Gabrielle Zevin. I don’t even know how to describe this sweet book, but if you are a book lover, you will relate to our quirky protagonist. He’s an odd bookstore owner that’s barely survived the loss of his wife and begins to slowly rebuild his life through other book lovers that come his way — and the unexpected delivery of a toddler to his care. There are some implausible turns of event in this one, but it’s an endearing story nonetheless. If you’re looking for a “feel good” read, this is a good one. If you remember I mentioned last month that I was reading Dark Places by Gillian Flynn, and I was quite looking forward to the departure from my normally lighthearted summer reads. But this one was not for me and I ended up walking away from it. My psyche just couldn’t handle the Satanic references in this one… which surprised me. But when you wake up with nightmares about what you’ve been reading, I take that as a sign to move on. And YES, I’m in love with her herringbone wood floors, too! I’m also loving this cool site of unfinished wood cut outs. 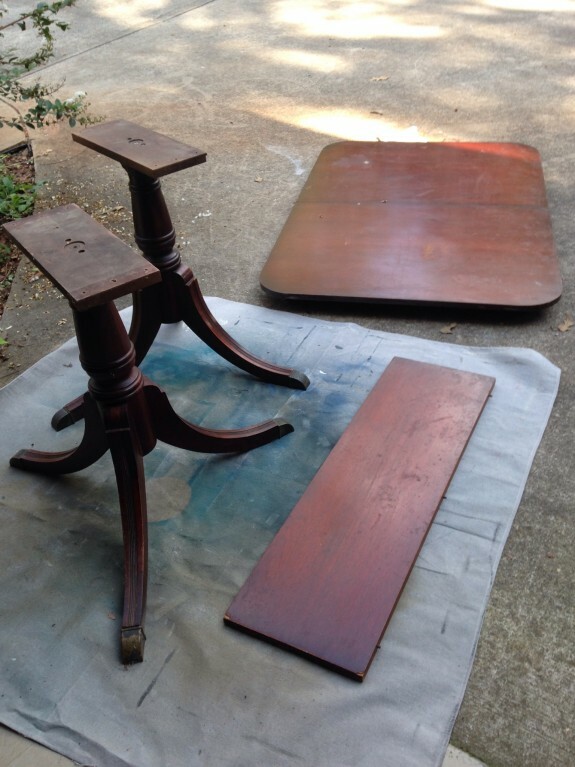 They’ve got some fun shapes, monograms, letters, and seasonal items that you can use for DIY projects. I have a certain one on order right now that I am so excited about. Endless possibilities! Oh my word, that finish was in rough shape. It’s better now, but still not finished… you see, I ran out of wax and it was a bit of a journey to get more. And now that I have more, I don’t have time to finish it up just yet. That’s just a glimpse at how CRAZY things have been. I’m rather distracted from all my projects around the house right now but am hoping things will settle in soon. You wouldn’t believe the disarray around here! But sometimes you just gotta live life as it is and let the other stuff go a bit. I hope you have a blessed weekend of fall fun! I’m spending time with some very special ladies this weekend and know I will get to belly laugh and soak in lots of love and shenanigans. See you soon!